Following is a list of new pastors of Redemptorist parishes within the Baltimore Province. Please keep them and their communities in your prayers during this time of transition. Assignments are effective July 27, 2011. 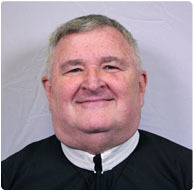 Father Blasick, 45, professed vows as a Redemptorist on December 8, 1997, and was ordained to the priesthood May 5, 2001. His previous assignments include associate pastor of St. Gerard in Lima, OH, and St. Mary’s in Annapolis, MD. 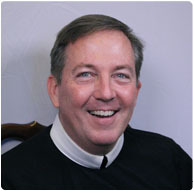 Father Bradley, 52, is a native of Philadelphia. 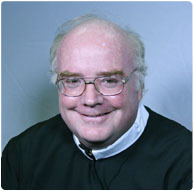 He professed vows as a Redemptorist August 28, 1982, and was ordained May 14, 1988. His previous assignments include pastor of Holy Cross, Christiansted, St. Croix, U.S. Virgin Islands; diocesan vicar for the Diocese of St. Thomas, U.S. Virgin Islands; and two terms as vicar provincial for the Baltimore Province. 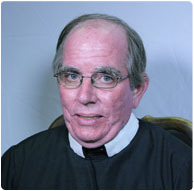 Father Gildea, 69, is a native of Boston, MA. He professed vows August 2, 1962 and was ordained June 18, 1967. 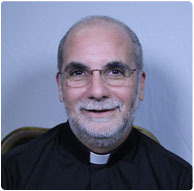 His previous assignments include mission work in Paraguay; the Redemptorists’ former high school, St. Mary’s in North East, PA; ministry to migrants in Seaford, DE; and assignments as pastor at St. Wenceslaus, Baltimore; St. Clement Mission House, Ephrata, PA; St. John Neumann Residence, Saratoga Springs, NY; and associate pastor at Our Lady of Fatima (2005-07) and St. Peter the Apostle, Philadelphia. Father Lewandowski, 43, professed vows as a Redemptorist September 10, 1988, and was ordained to the priesthood May 7, 1994. His previous assignments include St. Cecilia, New York, NY; Immaculate Conception, Bronx, NY; Seelos House, Vieux Fort, St. Lucia, West Indies; the now-closed St. Boniface, Philadelphia; and pastor of Visitation of the Blessed Virgin Mary, Philadelphia, since 2006. 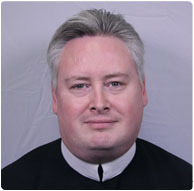 Father McGillicuddy, 56, was born in Killarney, Kerry, Ireland. 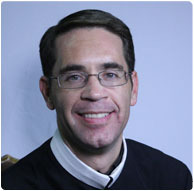 His previous assignments include associate pastor at St. Wenceslaus, Baltimore; the now-closed St. Boniface, Philadelphia (pastor from 1996-2002); pastor of Our Lady of Perpetual Help in Brooklyn, NY; and since 2008 as a mission preacher based at Our Lady of Perpetual Help (Mission Church) in Boston, MA. Father Olenick, 40, is a native of Winston-Salem, NC. He professed vows September 11, 1999 and was ordained May 10, 2003. His previous assignments include associate pastor at Immaculate Conception in the Bronx, NY, and associate pastor of Visitation. 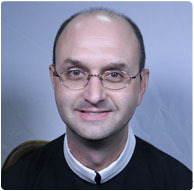 Father Szobonya, 49, professed vows as a Redemptorist September 14, 2002, and was ordained to the priesthood May 6, 2006. He was previously assigned as associate pastor of St. Martin of Tours in Bethpage, NY. 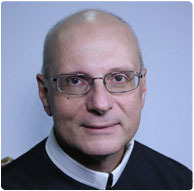 Father Tizio, 52, is a native of Brooklyn, NY. 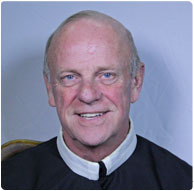 He professed vows as a Redemptorist August 4, 1979, and was ordained to the priesthood May 25, 1985. 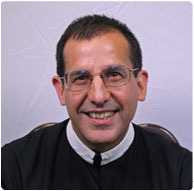 His previous assignments include associate pastor of St. Michael’s, Baltimore, and St. Mary’s, Annapolis (1992-2005), and pastor of St. Martin of Tours, Bethpage, NY. Father Woods, 61, is a native of Brooklyn, NY. He professed vows as a Redemptorist August 2, 1968, and was ordained to the priesthood June 8, 1975. His previous assignments include English teacher at the former Redemptorist high school, St. Mary’s in North East, PA; prefect of students at Holy Redeemer College in Washington, D.C.; provincial vicar from 1992-2004, and provincial from 2004 to 2010.